The Caribbean, long referred to as the West Indies, includes more than 7,000 islands; of those, 13 are independent island countries (shown in red on the map), and some are dependencies or overseas territories of other nations. In addition, that large number includes islets ( very small rocky islands); cay's (small, low islands composed largely of coral or sand) and a few inhabited reefs: See Belize. The Bahamas and Turks and Caicos are not considered a part of the Caribbean, however, we show them here because of their cultural, geographical and political associations with the Greater Antilles and other Caribbean Islands. At the beginning of the 15th century the population of the Caribbean was estimated to be nearly 900,000 indigenous people immediately before European contact. 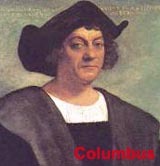 Then in 1492, Christopher Columbus, the Italian explorer began his exploration of the Caribbean, becoming the first European to venture into the area. After reportedly landing in the eastern Bahamas, Columbus named these islands the Indies, because he thought he had finally reached Asia (and the East Indies). Numerous explorers followed in his path, then tens of thousands of settlers arrived from the Americas, China, European countries and India. Included in that mix were religious outcasts and a small army of pirates. Across the Caribbean, slaves from Africa were imported in great numbers to work the sugar and tobacco plantations. By then the indigenous populations of the islands were in severe decline as exposure to disease and brutal genocide wiped out much of their number. Great military powers continually fought for control of the islands, and finally, a blended mix of African and European cultures and languages transformed this large group of islands and its peoples into one of the premier tourist destinations on the planet. Long called the West Indies, the overall area is now commonly referred to as the Caribbean, a name that became popular after World War II. Over the last few decades legions of travelers have journeyed to the Caribbean to enjoy the amenities. They frequently arrive in cruise ships that sail in and out, from ports in Florida and Puerto Rico. Overall the Caribbean is a magical place of palm trees, white sand beaches, turquoise waters and sunshine, all blessed with a climate that consistently offers a much-needed break for those stuck in the cold weather doldrums of the north. If you haven't been, you should, and if you've been here more than once, you will come again, as these islands, these beach-ringed, jungle-covered rocks are home to thousands of historical surprises and activities galore. So come wiggle you toes in the sand, and eat and sleep under the stars in the Caribbean. You won't be disappointed.